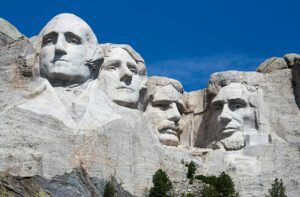 We’ll be closed on Monday, February 18th for President’s Day. 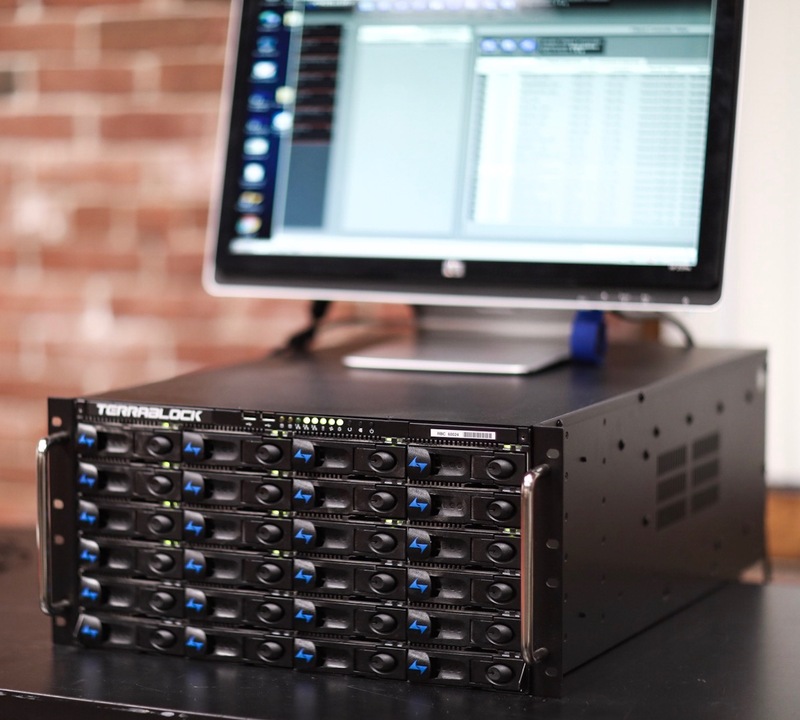 Please call our main number at 800-rule-com with any gear emergencies. Have a great weekend! We will be closed New Year’s Eve and New Year’s Day, December 31st and January 1st to ring in the new year with family and friends. Please reach out to us at our main number (617-277-2200) with any emergencies. From the bottom of our hearts, we thank you for your business in 2018 and for allowing us to support every type of production — from passion projects to feature films — we love our job and we love supporting you in yours! We’ll be back on Wednesday, January 2nd. Happy New Year and cheers to 2019! Happy Holidays from All of Us at Rule Boston Camera! From our shop to yours, we wish you the very best of the holiday season, and we look forward to another year of collaboration and fun! Please note we will be closed for the Christmas holiday on Monday, December 24th through Wednesday, December 26th. We’ll be back on the 27th! Holiday Customer Thank You with Our 2 for 2 Rental Special! As a BIG THANK YOU TO OUR CUSTOMERS this Holiday Season, we’re offering a 2 for 2 Special! Rent anything in our inventory, based on availability, from Monday, December 17th to Wednesday, January 2nd and pay a 2-day rate! Thats right! You’ll get a 2-week rental at a 2-day rate during the last 2 weeks of December! It’s the perfect opportunity to try something new in Rentals — like the Sony VENICE, the Heden YMER Follow Focus, one of our many new lenses, like the Zeiss Supreme Primes, Atlas Orion Anamorphic Primes, ARRI Ultra Primes, LOMO Standard Speed Primes, or accessories like the Small HD 503 5″ Monitor, Bright Tangerine Revolvr Atom Lightweight Follow Focus, Atomos Shogun Inferno 4K Solid State Video Recorder, MYT Works Large Camera Slider, or the Quasar Rainbow Tubes, Litegear LiteMat+ Plus 4 LED Kit, and more! 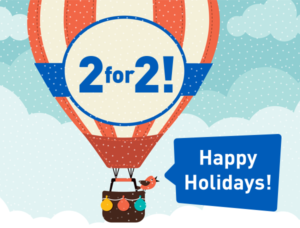 Click here for a look at the 2 for 2 Holiday Flyer! A QUICK REMINDER TO PLEASE PLAN AHEAD! 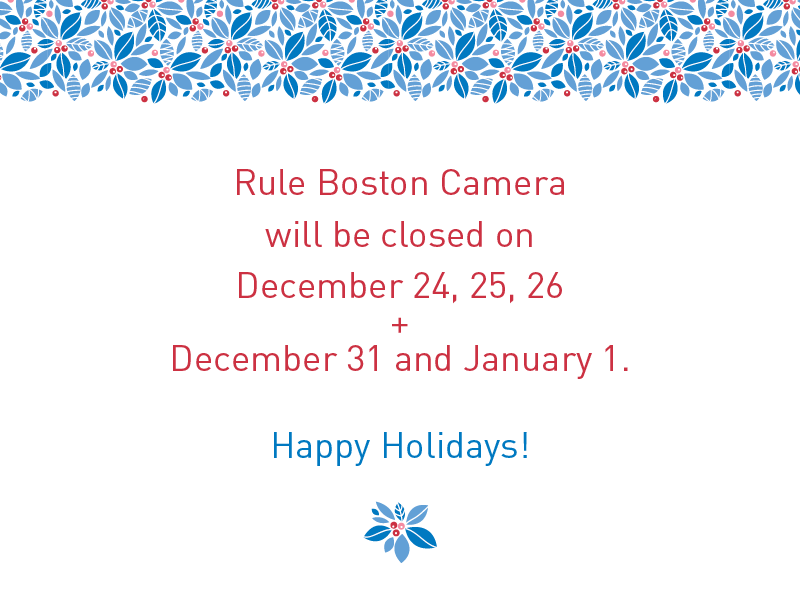 Rule Boston Camera will be closed for the holidays on December 24, 25, 26 plus December 31 and January 1. The holidays are a great time to express our gratitude! THANK YOU for being such an important part of the Rule Boston Camera family. We appreciate your business. Wishing you all the best this holiday season and into the new year. This position has been filled. Thanks to all who applied! Rule Boston Camera is looking for a dynamic, production-savvy person to join our rental team — perfect candidates should be comfortable talking with our clients about the latest cutting-edge cinematography equipment. 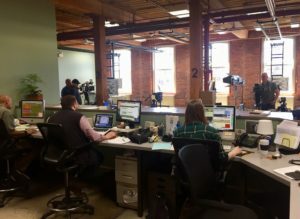 Our rental agents form long-term relationships with our clients who are actively producing some of the best content here in New England and around the world. If production and camera technology are your passions, please send a resume and letter of interest to General Manager, Brian Malcolm – malcolm@rule.com.